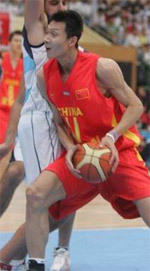 Guangdong fired past Shenzhen in the first game of the semifinal series. Guandong Tigers dominated down low during the game scoring 80 of its points in the paint compared to Leopards' 58. They outrebounded Leopards 55-37 including a 37-24 advantage in defensive rebounds. Guandong Tigers shot the lights out from three nailing 15 long-distance shots on high 51.7 percentage. Their players were unselfish on offense dishing 28 assists comparing to just 9 passes made by Leopards' players. Leopards were plagued by 29 personal fouls down the stretch. American swingman Sonny Weems (198-86, college: Arkansas) nailed a double-double by scoring 28 points, 7 rebounds and 10 assists for the winning side and his fellow American import swingman MarShon Brooks (196-89, college: Providence) accounted for 28 points, 11 rebounds and 6 assists. American point guard Kenny Boynton (188-91, college: Florida, agency: Higher Vision Sports) came up with 30 points and 7 rebounds and swingman Xining He (193-97) added 30 points and 5 rebounds respectively for Leopards in the defeat. Both teams had five players each who scored in double figures. The winner was already known earlier in the game, so both coaches allowed to play the bench players saving starting five for next games. Xinjiang upset Liaoning in the opener. 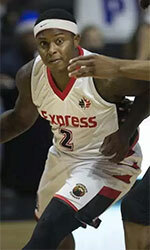 Xinjiang Flying Tige dominated down low during the game scoring 74 of its points in the paint compared to Flying Leopards' 40. International Abudushalamu Abudurexiti (203-96) stepped up and scored 26 points and 7 rebounds for the winners and American point guard Kay Felder (175-95, college: Oakland) chipped in 21 points, 7 rebounds and 7 assists. At the losing side the former international Ailun Guo (192-93) responded with 28 points and 9 assists and American forward Brandon Bass (203-85, college: LSU) produced a double-double by scoring 23 points, 10 rebounds and 4 assists. Four Flying Leopards players scored in double figures. Both coaches used bench players in such tough game.